They call themselves the better body system. Which is nothing new when it comes to health and wellness companies. 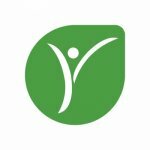 Yoli is a great example of a typical health and wellness MLM company. In fact, they pretty much excel at MLM mediocrity. But a few unique features to the company have given them good success in the last few years. 1. What does Yoli sell? Wellness products that are designed to help you reach optimal health: weight loss, pH balance, immune support, nutrition, sports performance, and energy. 2. What are Yoli’s most popular products? Yoli’s transformation kits are popular because they make it easy to get started and achieve results. They give you the products you need and a meal plan you can customize to meet your goals—whether that’s to lose weight, boost your metabolism, maintain a healthy pH, or enhance your digestive health—in just 28 days. 3. How much does it cost to join Yoli? To become a distributor, you need to buy Yoli’s distributor success kit. For that, you have 3 choices: Basic Pack ($59.98), Builder Pack ($119.96), and Pro Pack ($239.92). 4. Is Yoli a scam? No, Yoli is a legit business. The real question is whether you can make any money with them. 8. How many Yoli distributors are there? No numbers are available online. 9. What lawsuits have been filed? We didn’t find any lawsuits listed online. Does this mean you should get involved with Yoli? Either way, here’s 11 crucial facts you should know before joining Yoli. Yoli means “to live” in Aztec. Their mission? To change the way we live physically (through their nutritional supplement), financially (through their distributor opportunity), and emotionally (through a comprehensive support system). Sounds like just about every health and wellness MLM (hint: Sisel, Phytoscience, or TruVision). Yoli was founded in 2009 by a group of friends. This means they’re approaching the 10-year hump, but they haven’t got the street cred of a well-established business like Advocare. Their main line of products is called the “Better Body System,” and the package of various products is designed to help customers maintain a healthy pH balance, manage their weight, improve their metabolism, increase nutrition, and generally maintain a healthy structural balance in their bodies. One big problem with effective weight loss programs and products is that once customers achieve their goal, they no longer purchase more product. Yoli had the genius idea of also developing what they call a “Lifetime Kit” — products designed to provide daily maintenance benefits and help you sustain your new healthy lifestyle. They offer the typical potpourri of compensation, rewards, bonuses, and free product. Also, average commission is around 10%. Super low, even for network marketing. This might be one of those MLMs where the biggest benefit is free product. Don’t count on a decent income. They’re run by their four founders, each with extensive experience in business, entrepreneurship, economics, and strategy. Like a lot of supplement-based MLMs, their product is not cheap. It costs about $20-40 for one bottle, and their package deals START at $150. It’s pretty easy to find shakes and supplements at your local health foods store for a lot less. Their granddaddy kit, the Transformation Kit, offers “a complete physical transformation” for an unbelievable $340 PER MONTH. For the cost that adds up to after a year, you could get plastic surgery and save yourself time and money. Plus, the Yoli system isn’t even proven effective. A big part of the system’s success isn’t the actual product but the diet plan they include and people following that, which they can easily do on their own without dropping Benjamins left and right. There are no ingredients listed for any of their supplements or shakes, which is a big red flag. Red flag number two, there’s no mention of clinical studies to back the science behind their product. So, basically you’re relying on the testimonials of people who are paid to sell the product. Sounds about as good an idea as asking Edward Snowden to keep some top-secret government information on the down low. You have to purchase 50 PV per month and recruit enough customers to stay at your personal level in order to be considered an active distributor. However, many commissions require you to also be “qualified,” in which case you have to sponsor at least two active members. You might not get a lot of money, but at least you get it fast. Yoli pays out their distributors on a weekly basis through a direct deposit or a “Yoli Pay Card.”  They do charge a $2.00 processing fee on all commission payments, which based on their commission rate, might eat up half your profits. Is it possible to make money with Yoli? There’s a chance… But if it’s really the money making opportunity that interests you, your time could definitely be better spent elsewhere.